Close to the sea, beaches, town and all facilities. Ideal for families or freinds. 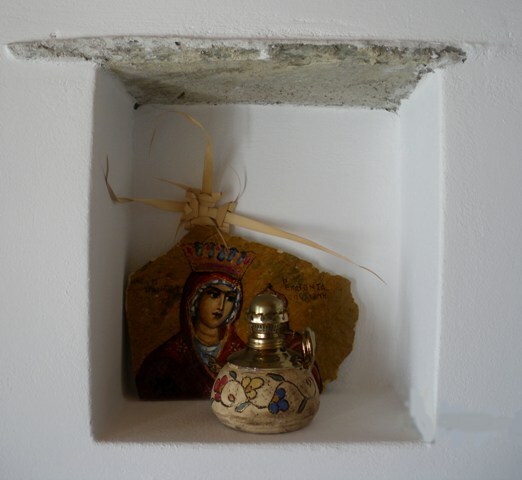 This is a cosy house in Boudari, an area a short distance from Antiparos town. 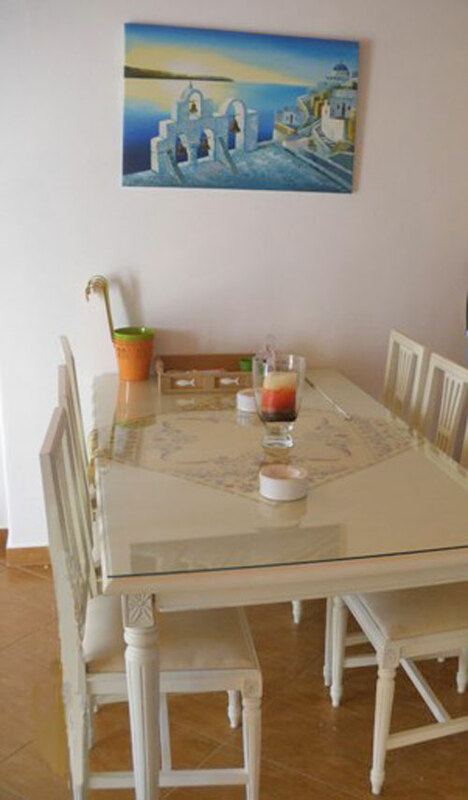 The house is suitable for families or groups of friends. 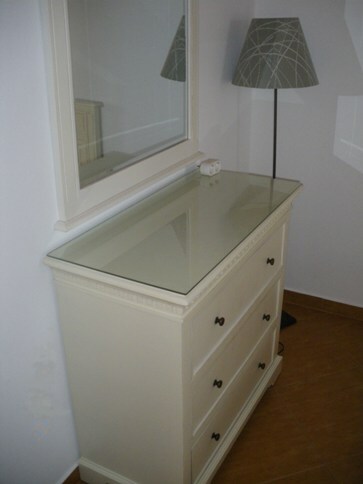 It is in a peaceful area close to the beach and a short walk to Antiparos Town. 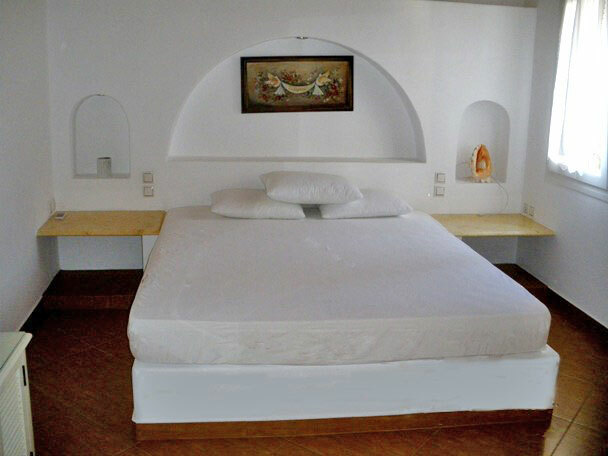 The house is built in the Cycladic style and is well equipped. The nearest beaches are Boudari and St.Spiridon beach which face Paros. 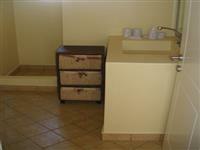 The house has three bedrooms, one with a double bed and two with two single beds. 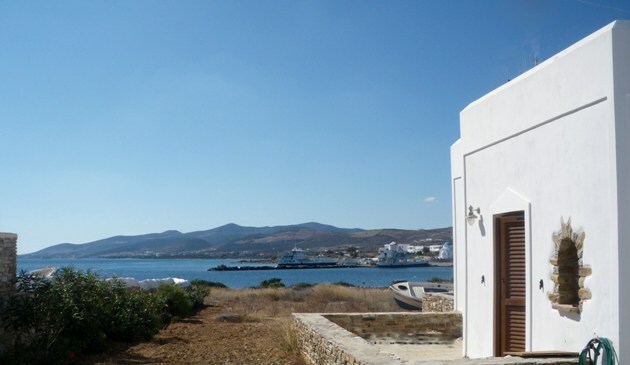 It has two bathrooms with a shower, a fully equipped kitchen, a dining/living room, large verandas with tables and chairs and a view of the sea and the port of Antiparos. Antiparos is a charming island with the town of Antiparos itself built around the Venetian castle. The most remarkable feature in the island of Antiparos is a stalactite cavern on the south coast, which is reached by a narrow passage and rope-ladders. The grotto itself, which is about 150 feet by 100, and 50 feet high features many remarkable examples of stalactite formations. At the entrance to the cavern is an inscription recording the names of visitors in ancient times. Accessible areas of the cavern walls are covered with graffiti, some of them beautifully lettered, recording visitors during the 18th and 19th centuries: these include royalty and other well-known tourists alongside geologists and engineers. There are plenty of beaches on the island, but the largest one is Psaraliki. There are two beaches called Psaraliki, but the first one is the largest and atracts many visitors. There are also other beaches and restaurants on the island, which are harder to reach, although they are accessible by bus from the port. The square in Antiparos is the central meeting place, and this is where most of the night clubs and bars are situated. Antiparos is in the Cyclades in the Aegean Sea, in the modern province of Naxos and separated by a narrow strait from the west coast of Paros: the boat trip is just ten minutes from Pounda, a little port on Paros which can be reached by bus or taxi in about twenty minutes from the main port of Paroikia on Paros. The island's seashore is 57 kilometers long. There are approximately 900 residents on Antiparos, most of whom live in Kastro, a village on the north coast, and are employed in agriculture and fishing. Please ask for a quote as prices may vary.